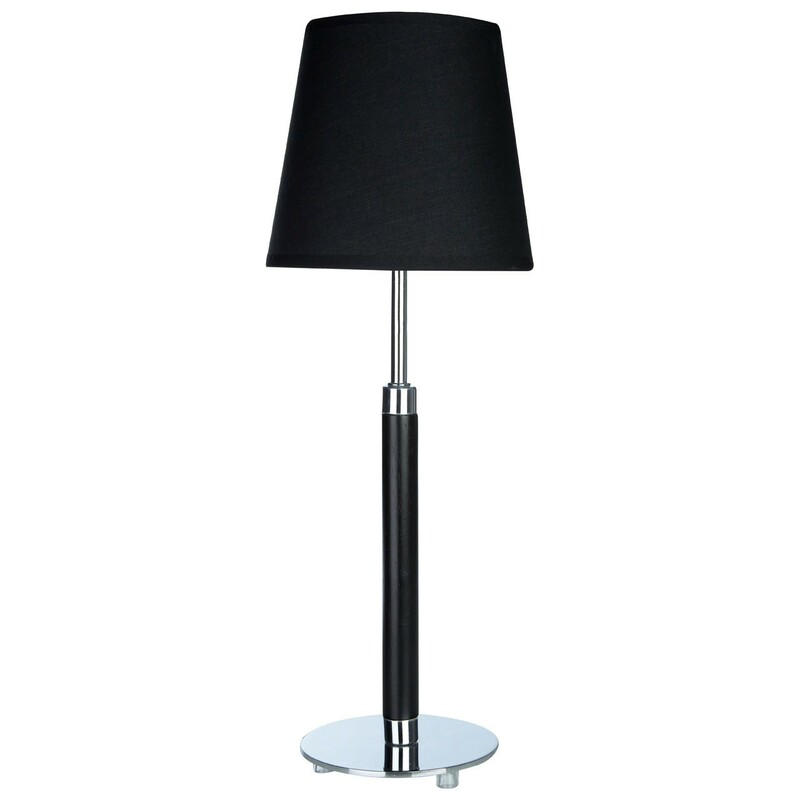 The Whitney table lamp stands on a circular chrome plinth, which contrasts with its sleek black stem. The monochrome look continues with the black fabric shade that is supported by a slim chrome stem. Table lamps are a great way of creating some ambient lighting, and can help to tie a design theme together. Style the Whitney table lamp with boutique hotel furnishings and accessories.